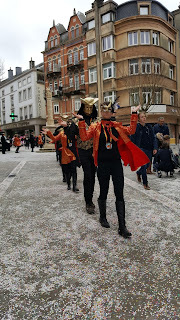 Arlon Carnaval was actually a few weeks ago, but my busy schedule didn't allow me to focus on a proper post about it on the blog. 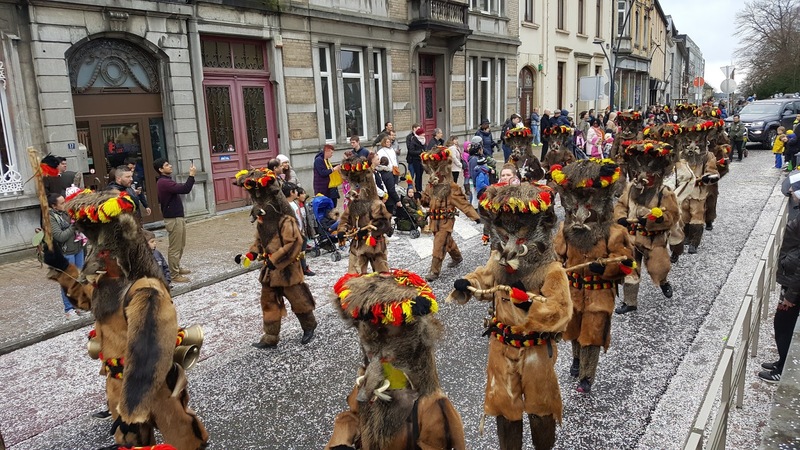 Here in this region once we burn winter the Carnival Season starts and we have carnivals in Germany, in Luxembourg and of course in Belgium. 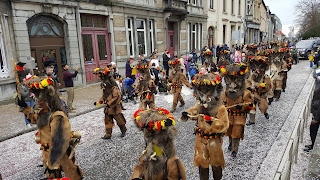 This year I managed to go only to the carnival in Arlon. 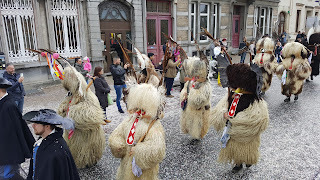 It seems that every year that passes I am more busy or less interested in the "traditional" events in this region. 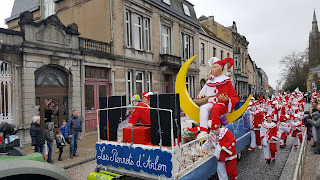 I know four years ago I went to three carnivals, but this year I was glad I made it to the carnival in my town, cause for the past two years I missed it. 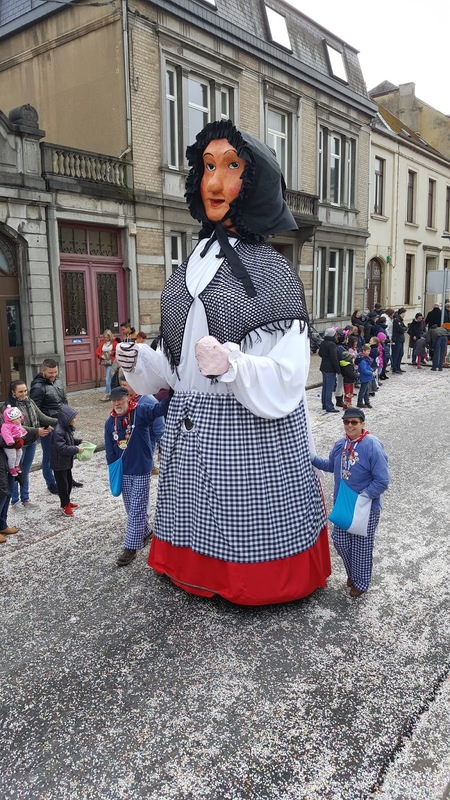 For Arlon, the carnival is one of the two or three major events that take place in a year, besides Maitrank and Christmas so it's a good reason to come and see it from Luxembourg. 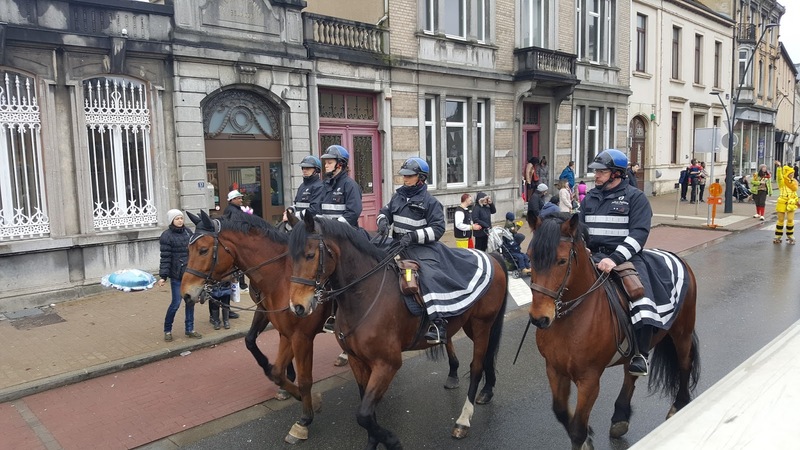 Most of the participants are small business associations or enterprises in the area, but there are participants that are more "traditional" than commercial. 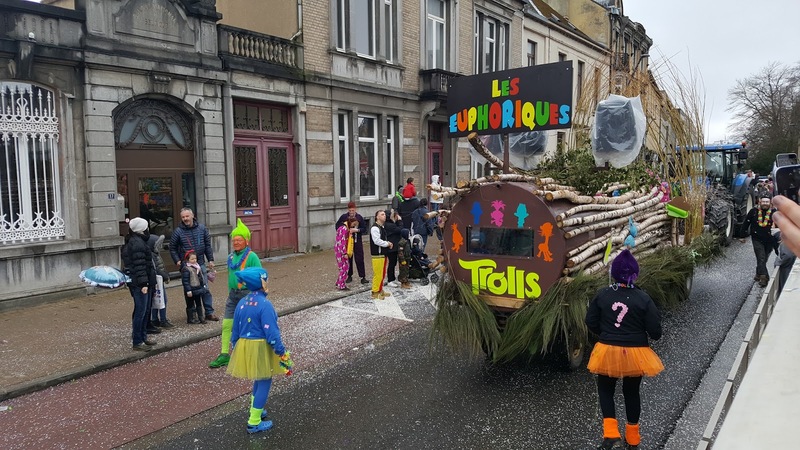 There is the car of the Harlequins of Arlon an association of clowns, then some weird looking animals which are supposed to be "sangliers", boars, also an association based in Arlon. 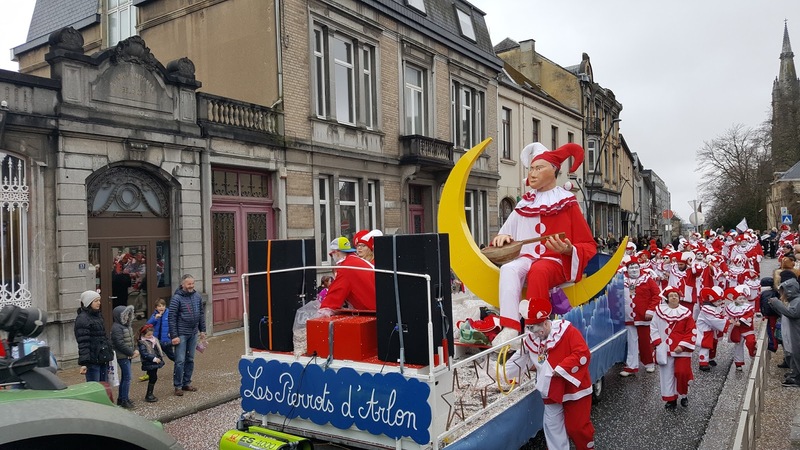 I don't know if these associations actually do something besides touring the carnivals in the region, but it was fun to watch them. 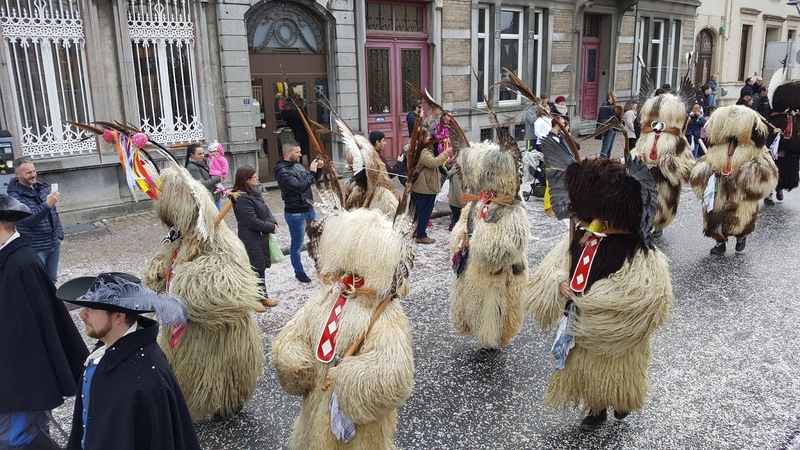 Then there are the traditional Gilles. 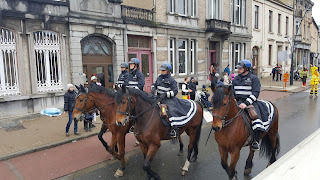 This year they were the highlight of the parade as they came in last. I didn't know much about them, except that they throw oranges sometimes at the crowd. 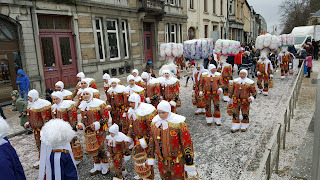 The first year I came to Arlon I didn't pay attention and one of the oranges hit me in the head. Let me tell you that is not a pleasant experience. I've learned my lesson and now I pay attention to the oranges being thrown. 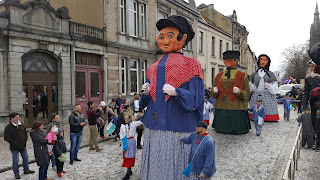 Another association I particularly waited for were the Arlon Giants. I like them because I assume they wear the traditional Belgian clothes and as I am interested in the traditional costumes of each country, I like taking pictures and finding more about that. 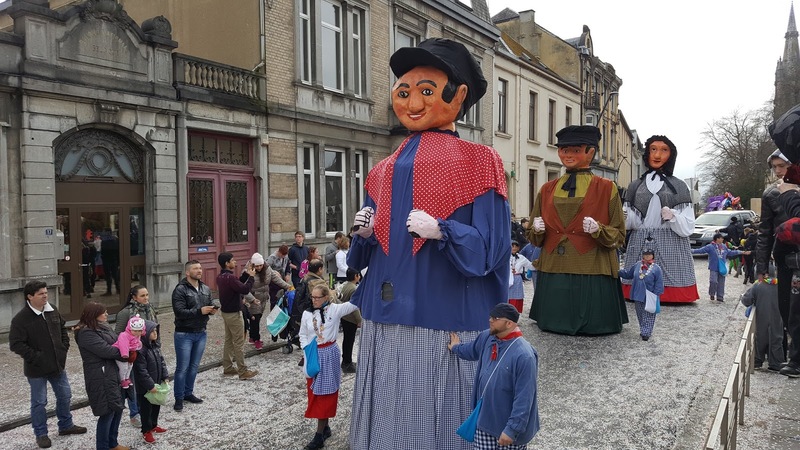 As their name suggests there are three or maybe four giant dolls moved on wheels dressed in the traditional folk Belgian costumes and also the people that manipulate those dolls are wearing the traditional folk costumes. Carnival is a season of laughter and joy and people are genuinely happy to come together and watch the procession. Children gather candy thrown by the participants of the cavalcade, adults enjoy a refreshment or two and everyone is happy.